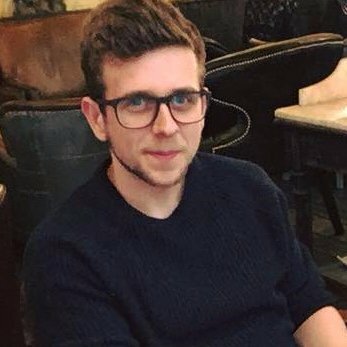 We’ve had around 600 leads in the past six months through Amazon SEO Consultant, it’s a number I’m super proud of and it also allows us to get a lot of data from what Amazon sellers are struggling with. One of the single most common questions I get asked is “do discounted product giveaways still work on Amazon?” – Well in this post I’ll be breaking down the “No” answer I gave when I was invited onto the Amazon summit event, as well as the “kind of, they actually still do.” Elements that we have been testing over the past few months. So let’s get to it. Do discounted product giveaways still work? Do These Giveaways “Still Work”? Before we answer this question we need to actually split up this question into 3 core elements. What does “discounted product giveaway” mean? As I’m not looking for this post to turn into an actual book about this subject I’m going to make a few assumptions based on the type of client we receive in and the question regarding discounted product giveaways in general. A discounted product giveaway is simply when an Amazon seller will offer a very high discount on a product (above 50% in most cases) to increase “sales” for that particular product. This is done through a coupon or promotion (depending on the Amazon platform and country you’re selling on.) There are multiple reasons why this strategy became popular which we’ll dive into below. By “still work” – This is in regards to how back in 2015-2016 you used to be able to launch an Amazon product, pay for thousands of giveaways and rank in the top 5 results for your primary (highly competitive) keywords, and hence generate a lot of sales through organic search. These sales would then lead to your product staying ranked and there it is —- A 7 figure Amazon business in about 3 months. This is what DOESN’T still work. — Shocker. There are multiple other elements & goals that you might be trying to achieve when it comes to discounted product launches. These can be initial reviews for a product, brand exposure, distributing your product for people to test or try. All of which are real uses for discounts and as a result are extremely valuable. But, when it comes to organic rankings, the shareable, fully discounted product, does no longer move the organic ranking needle. As mentioned above a very popular method of generating reviews is to give your product away and then you receive a review. This generally speaking is a good thought process right? You’re a brand new seller, need some great reviews to get started – Let’s give some product away and generate the initial reviews. Unfortunately Amazon kind of decided that they aren’t going to be allowing this. Even though it makes business sense, they are getting more and more harsh and tight on review procedure, to the point that they now buy social data to try to link incentivised reviews. But, it’s not all bad news, because there actually is a number of ways you can integrate a discounted product strategy into your overall Amazon marketing campaign. This isn’t something I recommend solely, as it doesn’t move the organic ranking needle enough for high-level keywords, but for medium competition terms, it works very well at ranking your product. Look into the keyword search (organic search) function when implementing discounted keyword focused sales. All this simply means is instead of a purchaser/consumer getting sent straight to the product page, they actually search via a specific keyword for your product and click to purchase this product. We call this a keyword search completion in-house and it’s very powerful. When mixed with on-page optimisation, discounted keyword focused sales do actually increase organic rankings. 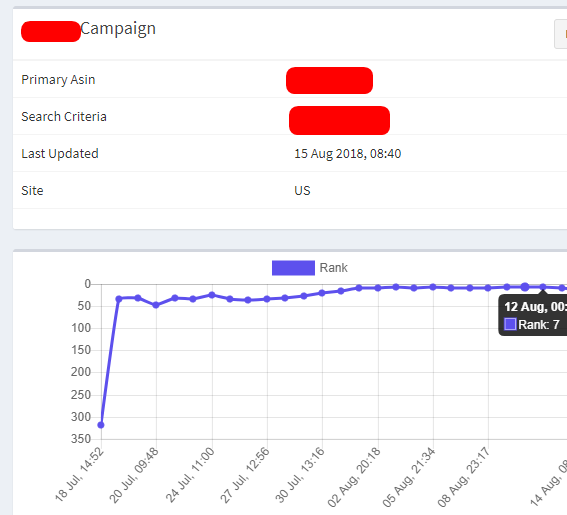 Check out the below example from a client, for this strategy we ONLY implemented the discounted technique and it ranked the product beautifully for the primary keyword we were targeting. We did also implement keyword research and listing optimisation too. (image from KeyworX). As you can see the product came from outside the top ten pages (320+ results) into 7th position within 20 days. This is a very common occurrence when we implement our process in full, but it’s great to see such a fast increase when only using 1/3rd of the entire process. You can see more of the results we’ve achieved by reading through our case studies. The general problem is you need a lot more units to spike rankings this quickly as opposed to generating full priced sales within Amazon. But at the end of the day, it’s a lot easier to give a product away than to convince someone to purchase it. Note: Be very careful not to destroy your brand when implementing these giveaway strategies. Although they are great for short term product rankings, if you associate your brand/product with free, this will actually hurt you in the long run and not help you. Another element to remember is unless your pricing, product and reviews are good, you’ll fall straight back down the rankings. So although organic rankings are the single most important KPI in my experience, you still have to implement a solid business at the end of it. Amazon simply gives us a platform to achieve this. 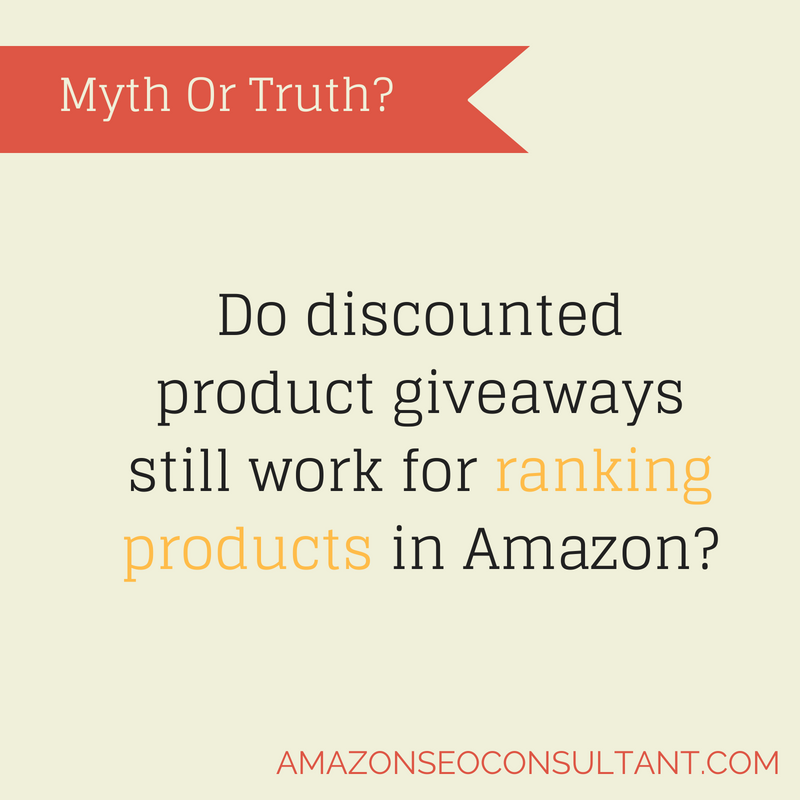 Remember discounted products should be ONE element you use to help rank your product in Amazon. 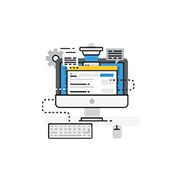 You can read our order page for more information on all the recommended strategies we implement into our full Amazon ranking campaigns. You can also order product rankings directly there, tapping into our expertise to grow your business, if you would prefer.